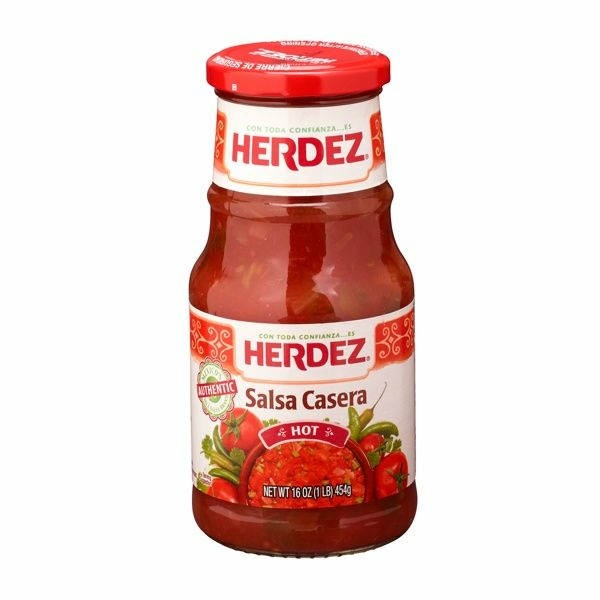 Salsa Casera Herdez - Hot 16 oz. 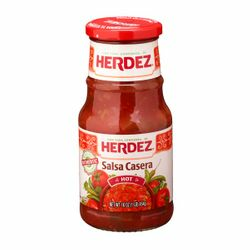 Herdez Salsa Casera - Hot 16 oz. Mexico's #1 Salsa. Herdez Red hot home style-casera salsa with an authentic blend of tomatoes, onions, serrano chiles and spices. Herdez salsas. La salsa casera Herdez es la salsa favorita de Mexico con sabor picoso, tomates, cebolla, chiles serranos y especies. Mash an avocado, add this salsa, and voila, you've got guacamole. Add a splash of it into soups, stews, etc. It's just plain delicious. The salsa to have at the table for any dish, any occasion. This is the best salsa out of all of the store bought brands that I have tried. It tastes very very fresh. ProsI love the flavors. The vegetables all taste fresh, not old and mushy. ConsThis needs to come in a bigger bottle.